The cozy and welcoming city of Cuenca is the 3rd largest city in Ecuador. 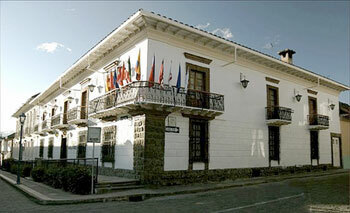 You will quickly understand why Cuenca is designated a World Cultural Heritage Site by UNESCO. It is renown for its 17th century colonial architecture and cobblestone streets. Cuenca is known as Santa Ana de los Cuatro Rios de Cuenca or in English Four Rivers of the Santa Ana Cuenca. The streets and shops of Cuenca are filled with artisans creating precious crafts of gold, glass, ceramics and the popular Panama hats, among many others. 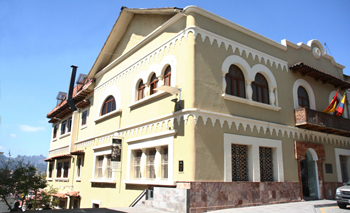 Located in the heart of the beautiful city of Cuenca, Carvallo Hotel is a brand new, 4 star hotel set in a colonial style house. The old house was rebuilt to create a wonderful ambiance with several authentic "patios" and 3 charming floors where the rooms are located. The hotel also has a cafeteria, two ample lounge areas and 30 rooms to accommodate up to 50 guests in single, double and triple rooms. All rooms are spacious, tastefully decorated, and offer cable TV, telephone, hot/cold water, amenities and minibar." There is no doubt about it that staying at El Dorado Hotel is different. And even more so now, thanks to the latest innovations that have been introduced to ensure you have a relaxing stay. Using their characteristic innovative spirit, El Dorado Hotel has implemented a new concept in hospitality to ensure the comfort and security of our guests. That is that the hotel has been designed by executives for executives, and meets all the expectations and requirements that a hotel of an international level has to offer. 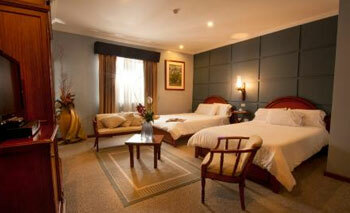 The hotel is strategically located and equipped to facilitate business. 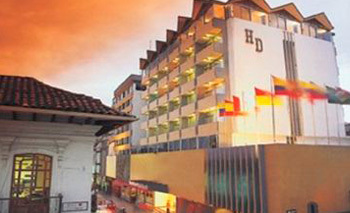 Their packages make the hotel the perfect choice for your stay in Cuenca. So, whatever the purpose of your visit, why not take some time to explore the web page and discover the comforts and luxuries that await you. 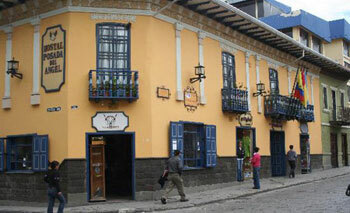 Santa Lucia is a hotel unique unto itself in that it is actually one of Ecuador's most historic antique buildings. Not only that, but it's located in the Old Town district of Cuenca which is a living museum itself. Newly renovated with all modern amenities, the Santa Lucia hotel is a gem in Cuenca's antique building collection where you can enjoy the elegant atmosphere of yesteryear but with all of today’s modern comforts. With 3 generations of experience in hotels and restaurants, the Vintimilla family of Cuenca is well-known among the tourism sector of southern Ecuador. The Santa Lucia hotel belongs to the same family who own the Villarosa restaurant (also in Cuenca), which is considered by major international guides and locals alike to be one of the country's best continental restaurants. Tradition. Hospitality. Service. These three qualities flow through the Hotel Crespo's ethos like the beautiful River Tomebamba at the foot of the hotel. They have been accommodating visitors to the city for the last fifty years. Located in the southern highlands of Ecuador, Cuenca was an eminent Inca city, and its regional importance only grew with the arrival of the Spanish. Cuenca's industrious, urbane and pious people created one of South America's prettiest cities: the “Athens of the Andes.” At Hotel Crespo, you’ll feel like you’re part of that tradition. The Hotel is situated in the historical center of the city in an old house with colonial features which has been fully restored and remodeled. 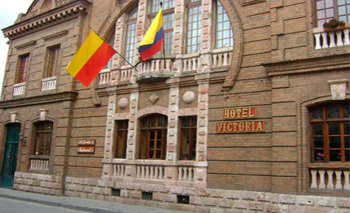 The Hotel Victoria is located in the best downtown area of Cuenca, overlooking the Tomebamba River and very close to the city’s museums, beautiful parks and churches. 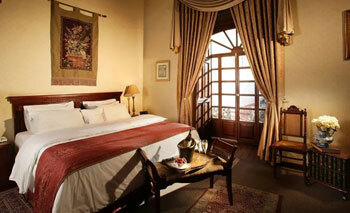 The Victoria Hotel dates from the 17th century and was recently converted into a boutique hotel. It is one of the most emblematic examples of the republican-style “hanging houses”, restored in its entirety with access to the shores of the river Tomebamba.